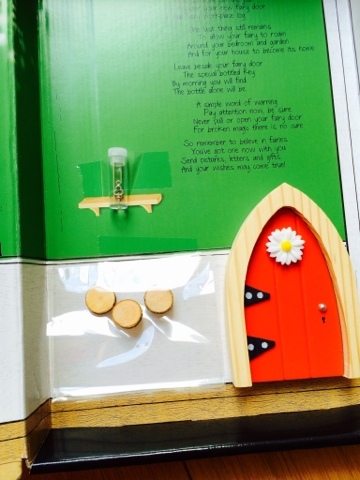 The Irish Fairy Door Company send your door in a sweet little box, inside the box you will find a special poem all about your door, a code and details of additional online content, a tiny pot containing a special key, some stepping stones and of course the door itself. 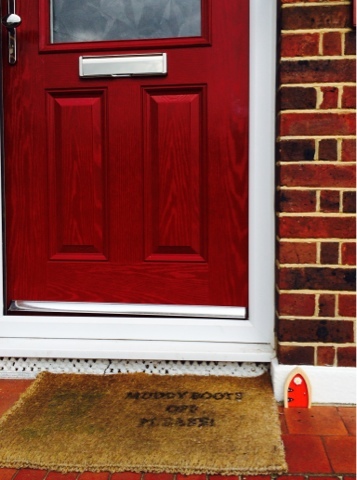 Our front door is red so we were happy to receive a red door to match, however the online range has a fantastic selection of colours and shapes for your door. We were tempted for a moment to keep it outside! Actually, in our back garden we intend to create a fairy garden area so I'm tempted to buy one to put against the base of a tree! 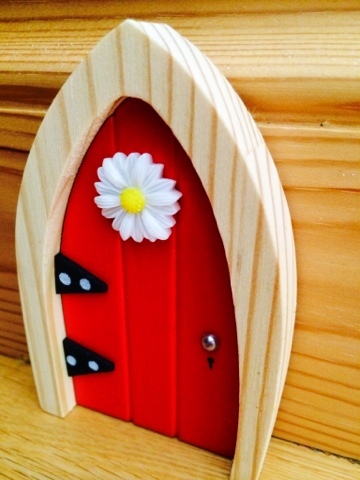 The Irish Fairy Door Company have wonderful details on the doors - mine has a pretty flower, pearl door handle and great hinges. It's really beautifully made! I've mounted mine with a blob of blutac to the skirting board in the playroom. How amazingly magical does the door look with all the additional details? These are all things that came in the box however online there are more additional things you can order such as a little welcome doormat and a washing line complete with laundry! 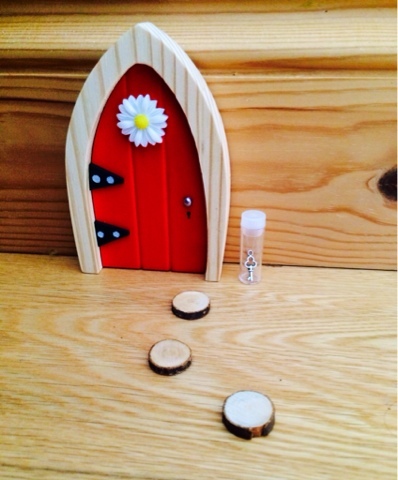 Now let's just take a moment to thank our fairy, she has done an amazing job of looking after the toys at bedtime and the children seem to (mostly) respect the playroom rules for the fairy! I love a bit of magic and it's great to see children believing in fairies! 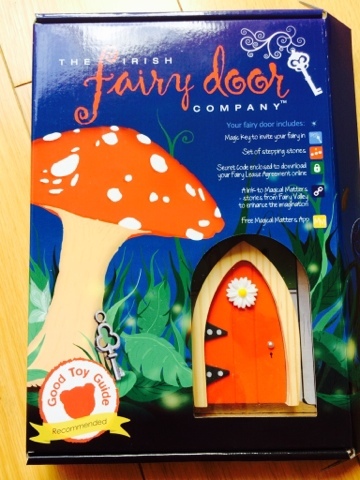 Disclaimer: We received a fairy door for the purpose of this review - all photos, words, thoughts and links are my own.